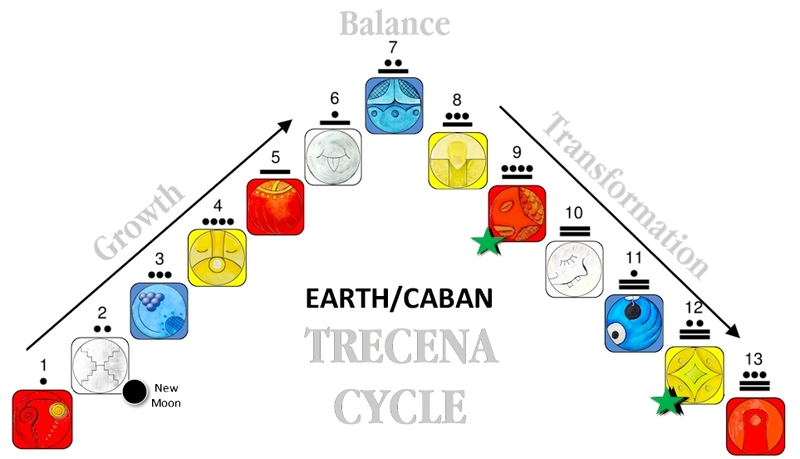 Our Seed was planted into the Earth/CABAN trecena where we could experience our Self as part of the Beauty around us. We are encouraged to synchronize with Her Movement, accepting the Experiences as they are presented to us. A new Spring offers the Beauty that serves to call us into the Moment. Tone 6 holds the Intention of Flow – compared to the peak performance of a great athlete. The paradox in our synchronicity with Earth is that we move forward effortlessly even when standing still. The thing we dream of tomorrow arrives by living today. The Miracle of Love is only offered in the Moments of Today. Wind/IK is the Element of Air that carries the Voice of the Creator. Our Mother Earth calls us outside to listen for God’s Voice on the Wind. God’s Breath was the first Wind that created the rustling in the trees. Our enclosed atmosphere is thought to hold the breath of every creation that’s ever lived here. On our in-breath we can re-member the first Breath of Life from the Creator. Air is the Element we first look for as the evidence of Life, and our Breath is the substance that always connects us as One. From the in-breath we draw our life and inspiration from Sacred Source. The out-breath is the dissemination of ‘who we are’ to the world. We are constantly exchanging parts of ourselves with one another. On the traditional path, we were taught to make note of the wind. A gentle breeze can be a loving acknowledgement of something that was on our mind. Even the winds of a storm that send us home, remind us to go within. And, the smoke that rises with our prayers, makes visible the air that carries our prayers to the Creator. Tone 6 is a Peak Day that would harness momentum to complete the Growth Phase of this cycle. Sun reminded us to Look to the Creator for the Passion to keep going. We can remember that we are One with the Creator with Every Breath we take, and if we listen with our Heart we will recognize a Voice in the Wind. 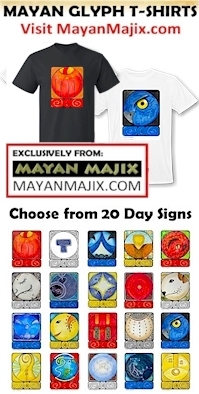 The Wind/IK glyph shown illustrates the open portals carved in stone where the Maya tracked the movement of the Stars and listened for the Voice of the Creator. The Wind is also capable of changing direction in a moment. We’re reminded that through the Sacred Right of Choice, we can change direction too. The circumstances of our lives can also change quickly, we can re-member that we can see things differently tomorrow. I found a note I’d made on March 3 that I was experiencing a “dark night of the soul.” It surprised me that now I can’t even remember what it was. Wind has the power to blow away the clouds of illusion quickly so we are returned again to the Light of the Sun. To all my relations, may we Breathe in New Life in the Natural World. May we smell the first flowers of Spring, and the first smells of a Spring rain. May we live in the flow of the Earth’s unfolding beauty and “Be Here Now” to draw the Breath that remembers the Presence of the Creator in the Element of Air, the medium through which we are always One. APRIL 1, 1927: Today my parents celebrate their 70th wedding anniversary. A pair of “April Fools” are still one another’s favorite friend and companion. They remind me that True Love endures and holds the Miracle of an Ever-Present Spring. Happy Anniversary to your parents! 70 years, WOW! Thank you Jacqueline! I only remember one argument between them – when I was about 10. 🙂 I’m working today, but will do my best to drop by. Thanks for the invite!